Garmin Echo 150 Portable has an average rating of 4.5 out of 5 based on 2 user reviews. The Echo 150 portable is a dual-beam, dual-frequency fishfinder from Garmin, a renowned manufacturer of fishing equipment. Being portable, the device is ideal for angling from canoes, kayaks and other small fishing vessels and for people who move a lot between boats. It not only measures water depths, but also shows the user a very good image of the structural elements like weeds and rocks lying on the bottom. It can track fish targets and makes fishing a much easier job. This device delivers a cost-effective power-packed performance, taking advantage of AutoGain technology to maximize targets and minimize clutter. The suction cup transducer mount design is very helpful for ice-water anglers, since it enables the transducer to float horizontally over the surface of the water. It works equally well in shallow and deep water; and even under the bright mid-day sun the display is clear and accurate. While there is no color display, it gives the accurate depth of the water and tracks the fish, thereby meeting the two main user criteria. There is no need to keep the device dry on board a boat or ship; Garmin’s Echo 150 portable is water-resistant and can be easily wiped dry without causing any damage. People who make fishing a sport will love this gadget for its stability and ease of usage in the rough conditions usually experienced by a small boat surrounded by endless water. They are thankful for the built-in tray attached to the base of the Echo 150 unit, which securely holds both the transducer and battery. The transducer cable tightly wraps around the sides and bottom of the support arm and thus stays out of the way when not in use. A soft-sided yet rugged carrying case is included with the Garmin Echo 150 portable to keep all the components safe. In fact, this case is reusable and can accommodate any other Garmin Echo fishfinder model. It has D-rings on its base for fixing it to a bench. It has a rigid support arm that keeps the bag upright and allows easy viewing of the display. You can get a great deal on Garmin Echo 150 Portable here. Garmin Echo 150 is a very dependable and reliable device. When you see a mark on the screen you know it’s there. 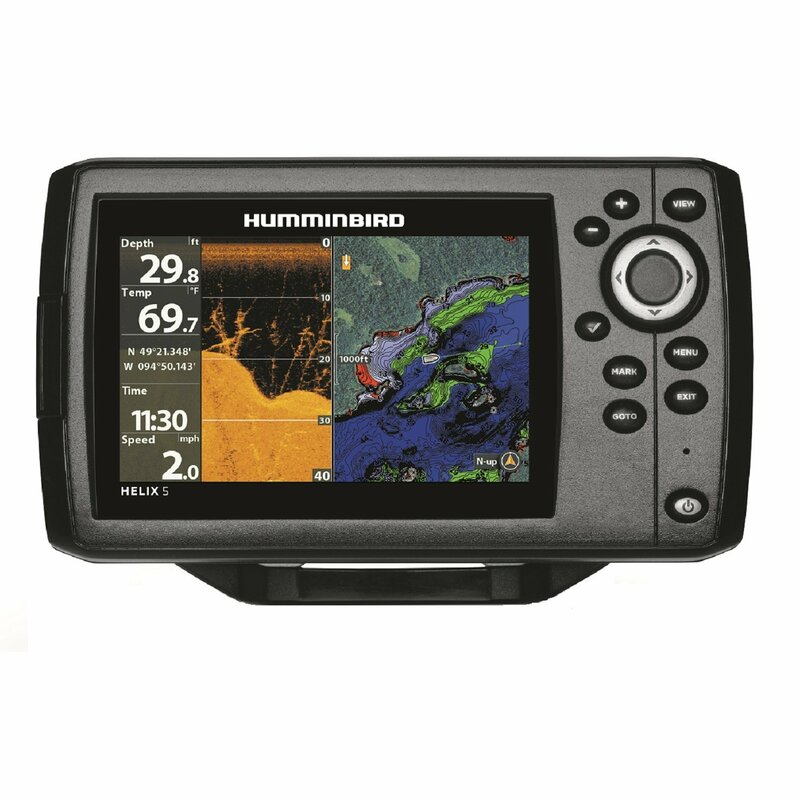 The screen resolution is much better than comparable Lowrance and Humminbird products. The portable version (which is what I got) comes with the suction cup transducer mount. You just stick it to the side of the boat and you’re ready to go. I chose this unit because the screen is brighter than other black and white fishfinders in the price range. It uses very little power, the battery lasts for 50 hours. It takes no time to install the transducer at the bottom of the kayak using the provided suction cup mount and so far I haven’t had any problems with it detaching from the bottom. The only problem I have with the fishfinder is it sometimes goes nuts and reports depth of 70ft when I’m close to the shore and the depth is no more than 5 feet. Reset resolves the problem but it is annoying.